LI: to use descriptive language in a narrative text. 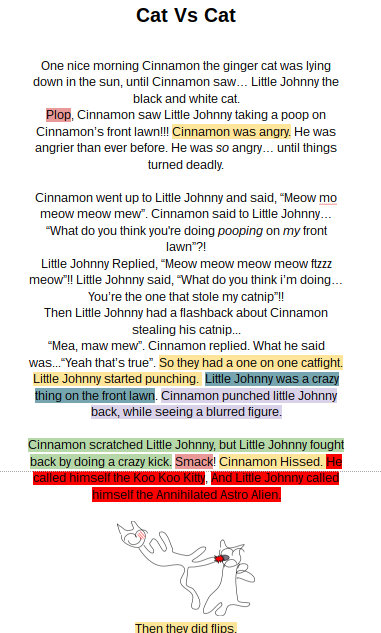 This week for writing had to get our narrative we wrote and we had to add onomatopoeia's, metaphor's, similes, personification and alliteration. 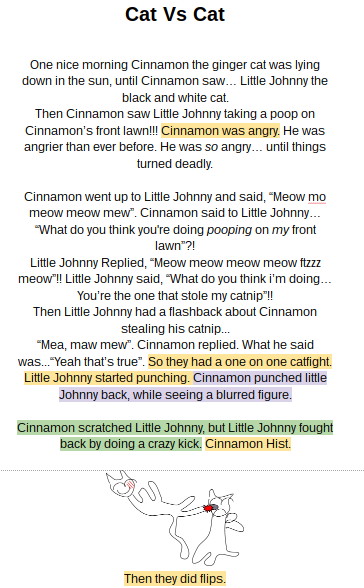 Onomatopoeia's are words like oops, bang or crack, and in the story when things are highlighted this colour it is a onomatopoeia. 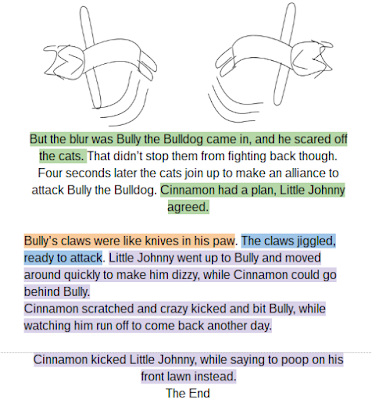 A metaphor is when you say someone is like something, e.g Emily is a bull on the field, and if something is highlighted this colour it is a metaphor. 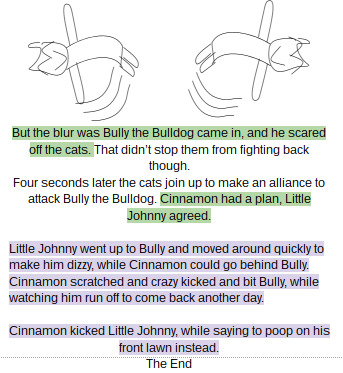 A simile is getting two things and showing both of their similarities, and if something is highlighted this colour it is a simile. Personification is saying something that isn't alive do something a human does, e.g The moon went fishing, and if something is highlighted this colour it is personification. 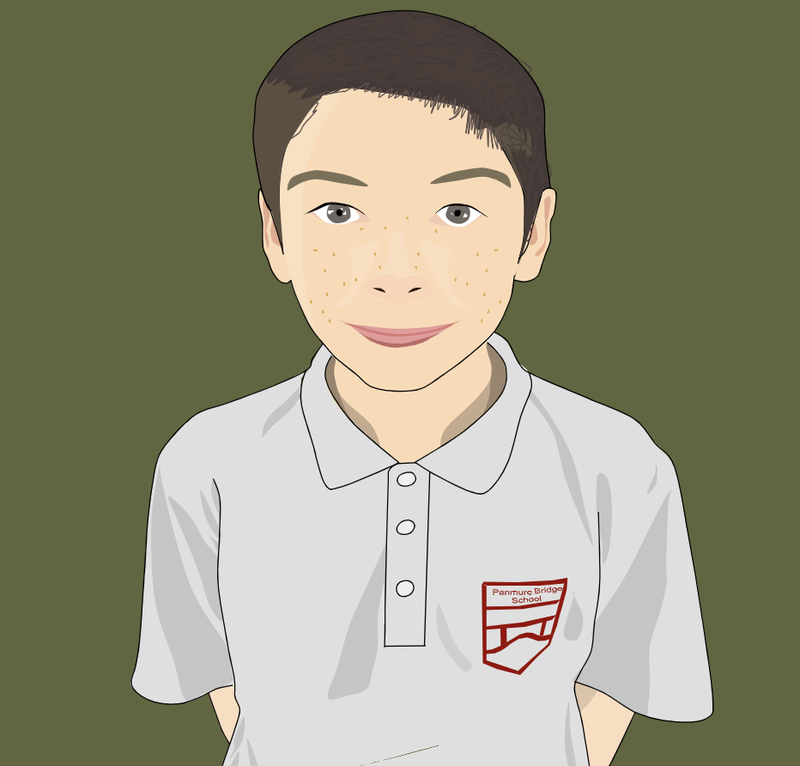 And alliteration is making three words start with the same letter, e.g The Big Bald Ball, and if you see something is highlighted this colour it is alliteration.